I've had this photo since it was taken, so it was probably by one of my friends. 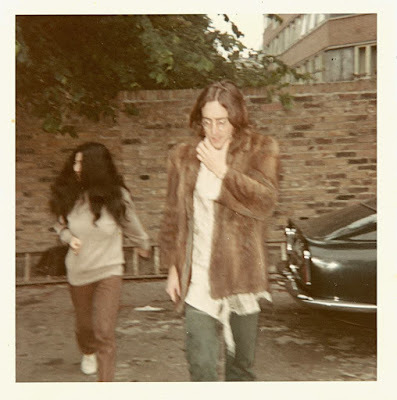 This is what Yoko looked like when she started coming to the studios. The first time I saw her she was all in black. This is at EMI Studios and that's Paul's Aston Martin. I believe this was 1968, by John's hair. Lovely photo.